Ask for the order. This phrase was a common one in my first job on a trading floor, and it took on new meaning as I progressed to being an entrepreneur. Be specific and vocal about what you want, no one will read your mind or advocate for your goals as well as you can. This also necessitates having an opinion, you can’t ask for something and be indifferent. 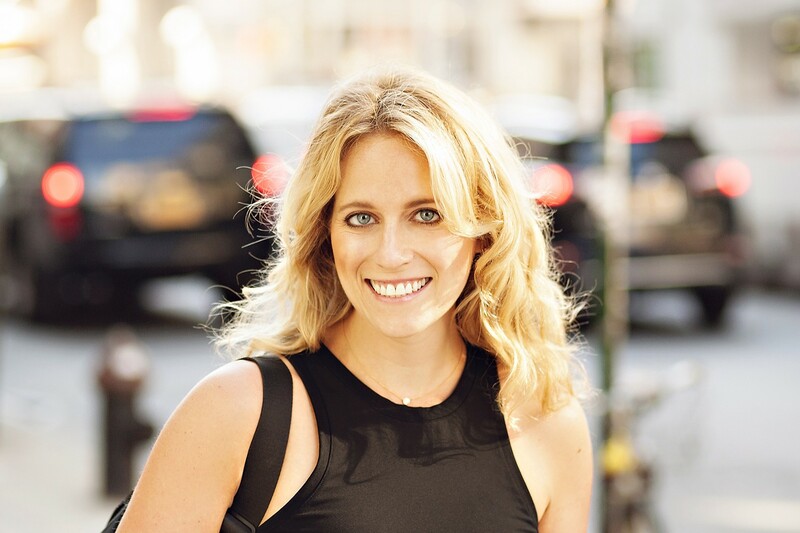 I had the pleasure of interviewing Sara Rodell, CEO and Founder of Loop & Tie. Loop & Tie is transforming the world of corporate gifting by replacing the practice of one-size fits all gifts with the gift of choice. Loop & Tie helps gifters connect with customers through sharing gift choice data, facilitating feedback and integrating with over 500 CRM, customer service and task management tools. I used to work in sales and trading at a large investment bank. Like most businesses, maintaining impeccable client relations was top of mind. I volunteered to handle client holiday gifts one year and was annoyed with the amount of time it took to get it done and the associated nuances. For example, we had clients who kept kosher and those who didn’t drink. If you sent a Christmas ham or a bottle of wine to the wrong person it would be incredibly rude! Inefficiencies bother me and I felt like there had to be a better way to order for groups in a personalized way. I started researching the gift industry and was struck by a few things. Companies spend an estimated $90bn on gifts each year. However, it’s often the only part of their business that resides offline (hence the inefficiency!) And unlike other aspects of the business, it’s acceptable to just do the same thing for everyone. I became fascinated with this idea of scaling personalization and thought the gifting industry was ripe for change given the lack of technology and the significant budget. I saw an opportunity for gifts to stop being a cost center and to start being an active part of the relationship building process. I never really set out to start a company, I moreso had an idea that I felt needed to exist. I’m grateful that I’ve learned the trials and tribulations of running a company incrementally. I think if I would have known what I was getting myself into it would’ve seemed far more daunting! Someone once told me that entrepreneurs are the only people that trade more money and shorter days for less pay and more work, which is so true! Money can’t be your only motivator because building a company from scratch is probably one of the hardest and riskiest ways to earn a living. Leaving my corporate job was a confidence building experience since I lost all the guardrails and certainty that an established company provides. Being an entrepreneur has taught me more about myself than any other experience. I’ve learned that I have a lot of fight in me and am most happy when I’m facing an uncertain outcome and have to rise to the occasion. While I enjoyed my corporate role, I feel I earn my days more as an entrepreneur. Every win is hard fought and every loss is emotional. I’m more fulfilled working for a mission and a vision, and I’m also inspired by those around me who do the same. I feel lucky to come to work every day with people who push themselves to their limits and aren’t intimidated by adversity. Loop & Tie rethinks the way companies gift and replaces the practice of picking out a gift generic enough to order en masse with the idea of sending gift choice. By creating a process that empowers recipients to get something they truly care about, we build a feeling of reciprocity and brand affinity between businesses and their clients in new ways. Gift choice drives high levels of engagement in terms of participation rates and thank you note response rates. It saves time, increases the likelihood a gift recipient will get something they value and helps businesses achieve their goal of building rapport. Gift choice also allows a new set of goods to be “corporate giftable.” Traditionally it’s difficult for small brands and independent makers to access corporate gift demand because discoverability is hard and their products are often too niche to be purchased in bulk. Through sending choice, we’re able to include a wide variety of niche options, which results in new orders for small businesses who sell through Loop & Tie. We all need a little help along the journey — how have you gotten help along the way? I’m fortunate to have build a wide safety net I can reach out to with questions and struggles. I’m a part of theli.st where I’m able to connect with an amazing, supportive group of badass women. The List has helped me connect with advisors, investors and customers and vet new ideas with a group I value. I have some wonderful friends who have also founded and run companies, they’re the people I call to scream, cry and celebrate, I’m so grateful for Heather Brunner, CEO of WP Engine, Billie Whitehouse, CEO of Wearable X, Elien Becque, CEO of RoomZoom, Amir Eliguazy, CEO of Cratejoy and Megan O’Conner, CEO of Clark. I’m really excited about the integrations we’re building with 3rd party platforms. Being able to gift from other tools like Salesforce further reduces the friction of buying and sending gifts. We just published our Salesforce App and you can look for more integrations and features coming soon! Can you share 3 of the best words of advice you’ve gotten along your journey? Please give a story or example for each. Use your emotions along with facts. I’ve often heard the advice “don’t make emotional decisions” but I think there are amazing benefits of emotional intelligence. Gut instinct is a sum of subconscious packets of information we harbor. It’s powerful stuff, when used in tandem with fact-basis analysis. When I make decisions, I assess what initially feels right and wrong and then dig into the emotions driving those characterizations. I run through a set of questions such as “Do I think X because I’m afraid of the alternative? What drives that fear? If I wasn’t afraid would I think differently?” This exercise helps me unearth my biases and assess their validity. Suboptimal decisions usually come from having incomplete information. By combining emotions with facts, I have my best shot at an accurate assessment and conclusion. This mindset helps across any situations of conflict. Whenever I’m upset about something, or with someone, I take the mindset that there must be some key piece of information that I’m missing. If I understood it, I would see why they “did that thing” or “how we ended up here,” and it would shift my anger into a more constructive emotion. This mindset means I don’t go into conversations angry, or filled with assumptions. Instead, I ask questions. I usually learn something that helps me understand the mindset or conditions that fostered the “bad event.” Understanding breeds resolution more effectively than angry discourse. As a management style, if a team expects that it’s more important to understand issues and solve for the future rather than stake blame, there’s an element of safety that breeds better information flow. Defensiveness and justification are replaced by brainstorming and improvement. This phrase was a common one in my first job on a trading floor, and it took on new meaning as I progressed to being an entrepreneur. Be specific and vocal about what you want, no one will read your mind or advocate for your goals as well as you can. This also necessitates having an opinion, you can’t ask for something and be indifferent. I love listening to How I Built This, hearing other entrepreneur’s struggles and successes motivates me to keep going and provides great context on the true scope of ups and downs. We often only get to hear about startup successes, but the failures and trials pack some powerful information. I find so much value from hearing entrepreneurs open up about the full journey. Reading Phil Knight’s introduction to Shoe Dog is a big inspiration for me! I love the metaphors he uses to relate running to business. Running and taking time for physical activity is really important to me and my own training for work and life. I feel like it’s the best way to quickly put yourself in a hard place and practice focus and perseverance. It’s helpful hearing how other entrepreneurs maintain focus and conviction in the face of disbelief and trying circumstances. I’m sure Phil has some wonderful stories and life hacks for how he deals with the quest of becoming the best version of himself, I’d love to hear more over breakfast! I’m not super active on social media, the best way to find me is on LinkedIn or follow Loop & Tie on Facebook or Twitter.